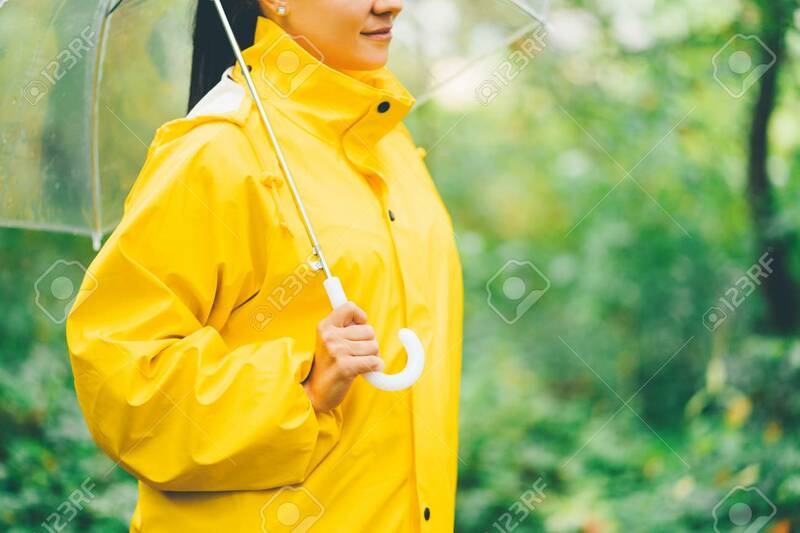 Attractive Unrecognizable Young Girl In Yellow Raincoat In Park Or Forest With Transparent Umbrella, Autumn Day. Focus On Hands Foto Royalty Free, Gravuras, Imagens E Banco De Fotografias. Image 113058846.